TaskCams recreate the proven Cultural Probe technique of relabelling disposable cameras with requests for pictures. 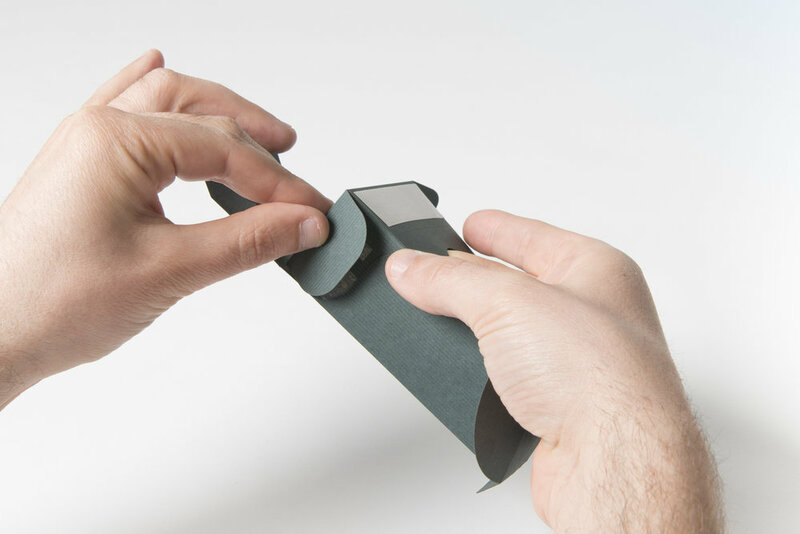 The Paper TaskCam is housed in a casing made from paper or light card, allowing it to appear as playful or elegant as required. 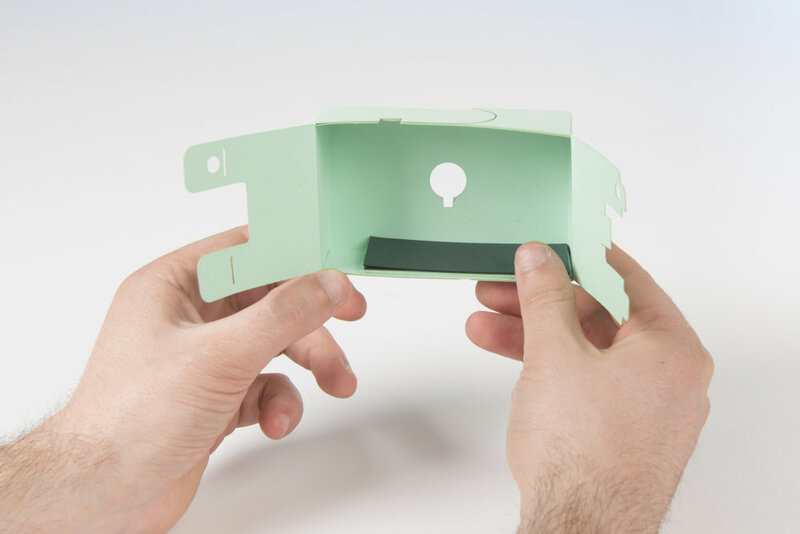 The casing for the Paper TaskCam is constructed from two A4 sheets of card or paper, cut out according to the template we provide. 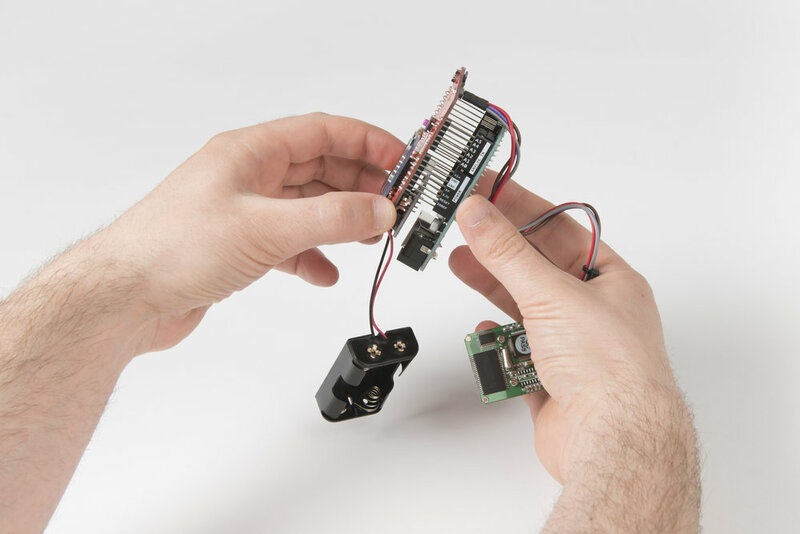 The device requires a custom PCB, based on the Arduino platform, that you can make yourself or buy online. Two AA batteries provide enough power for days or weeks of occasional use. Step 5 Slide the 3D-printed shutter onto the shutter button of the shield. Step 10 Make sure you give the camera a thorough test before it goes into its housing. Unplug the USB cable, insert a couple of AA batteries and go through its main functions. Scroll between questions, take a picture, and turn it off and on again with the switch. Once you’re happy that everything works, you’re ready to put the electronics into their housing. Step 18 Insert the battery holder on the left side next to the shield. The paper risers should bring the shield to the same hight as the battery holder. Adjust adding or removing paper risers until the fit is snug. Step 26 Carefully slide the power button into the case. Step 30Your camera is now complete!